WOW An opportunity has arisen to purchase a one off unique exclusive contemporary four bedroom detached home, simply surrounded by a private lake and outstanding countryside views. 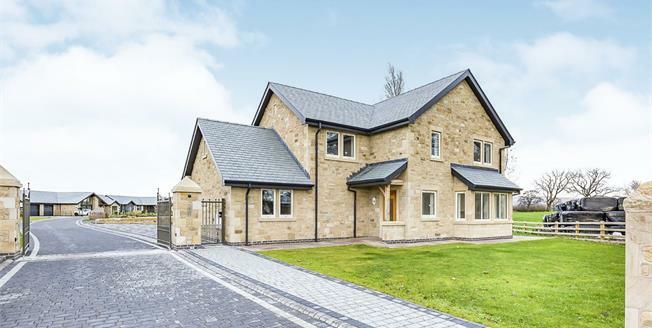 Here is a home that exemplifies the very nature and prestige of Halfpenny Lane, being positioned on this exclusive gated development featuring only six executive dwellings. The exceptionally well proportioned accommodation briefly comprises of an imposing entrance reception hallway with solid oak glass staircase leading to the first floor and cloakroom. The hub of this fantastic home is the spectacular open plan family living consisting of a living room with flu in situ for a gas fire or wood burning stove, kitchen, dining and family zone. The bi-fold doors open onto the rear garden with aspect views of the lake. The beauty of this brand new home enables you to make your own choice of kitchen within reason of a budget provided by the developer. The whole of the ground floor benefits from under floor heating. The four stunning bedrooms are proportioned across the first floor, the master bedroom featuring a dressing room and en-suite facilities, another double bedroom with en-suite plus a four piece family bathroom. Make your own choice of bathroom suite and tiling, just how you want it! The whole property will come complete with a completion certificate signed off by Building Control at Preston Council, 6 year warranty from Frank Whittle Partnership and a 20 year guarantee on all windows and doors. Outside, the property is accessed via a brick paved driveway with a beautiful landscaped patio area, a double integral garage and landscaped laid to lawn gardens surrounding the front and side of the home. Viewing is to be strictly considered and highly recommended..